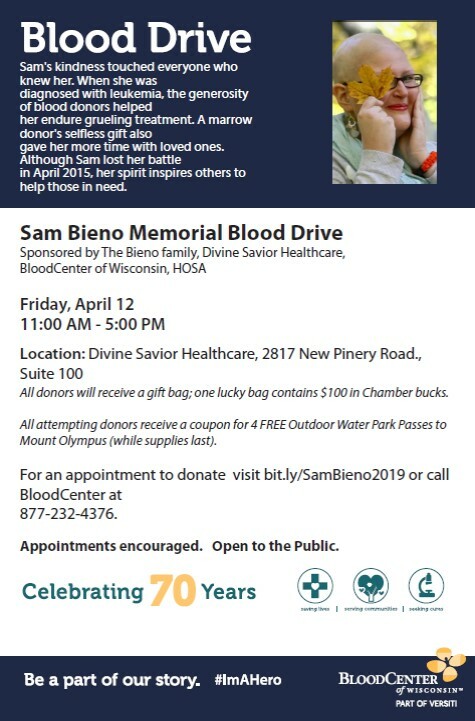 No fooling, here is the April Chamber newsletter! 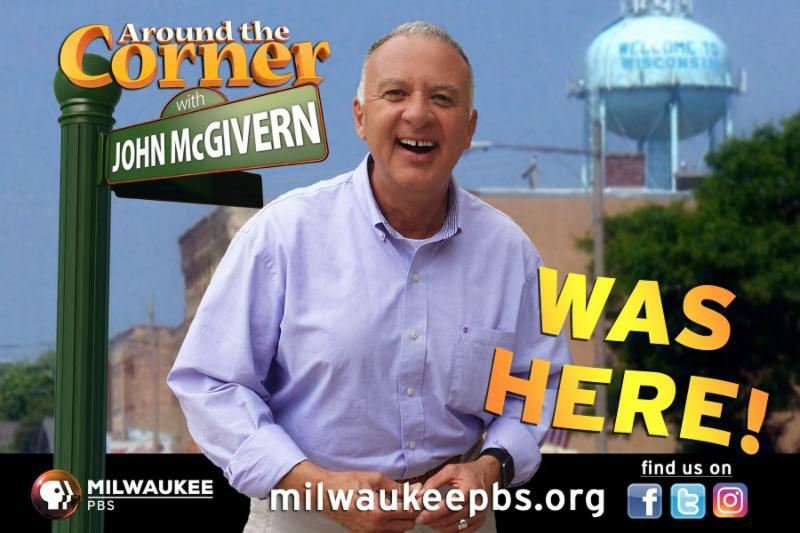 Watch 'Around the Corner' April 4! 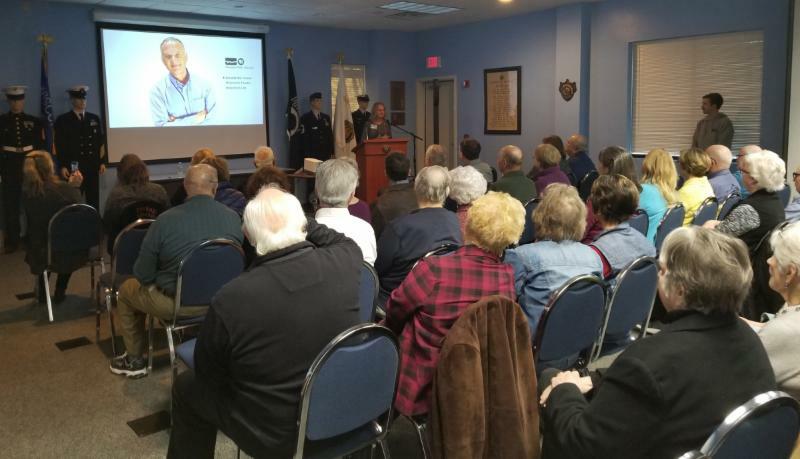 The American Legion State Headquarters was the place to be as a crowd of 65 people turned out to watch the premiere of the PBS show 'Around the Corner with John McGivern' featuring Portage. Weren't able to attend the viewing party? Don't worry, you can catch the program when it airs on PBS on Thursday, April 4 at 7pm. See which local faces and places are featured...a few clues are below! The 'Around the Corner' crew did an excellent job spotlighting our community. We are sure the program will entice many viewers to mark Portage on their list of places to visit. 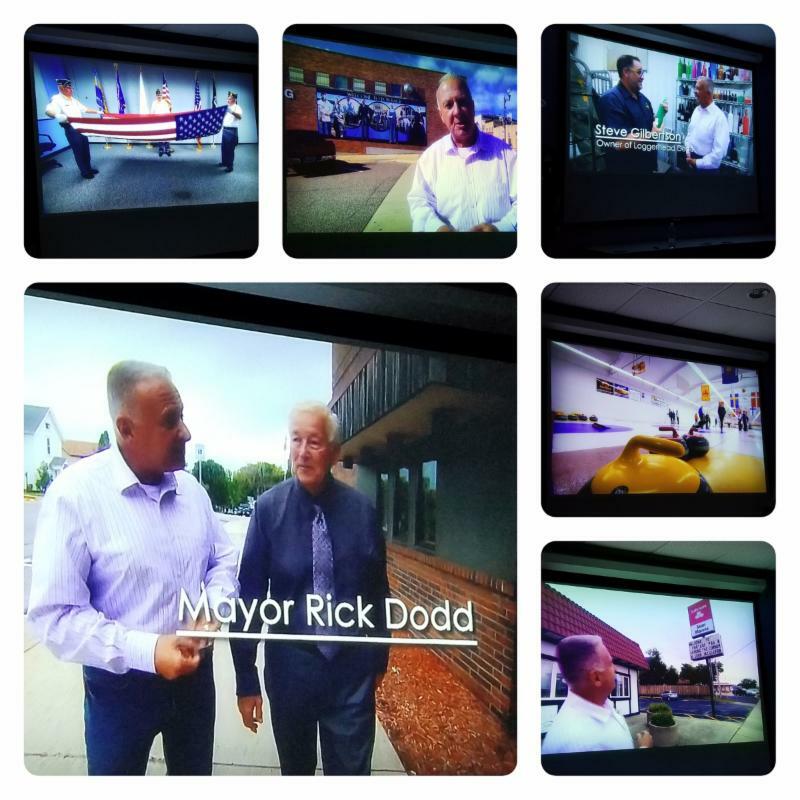 Thank you to the American Legion State Headquarters for hosting the viewing party! Get your tickets now for the Portage Wine Walk, happening Friday, April 26 from 6pm to 9pm. Spend time with your friends enjoying great wine inside various businesses and walking from place to place to shop. Tickets are $30 per person and include glass, wristband and map of the locations. Tickets are available at the Chamber of Commerce, Prairie Flower Beads, Mercantile and Neil's Wine House by cash or check. Online by credit card is also an option. Participants must be 21 or over and ID is required. Tickets are limited. All ticket sales are final. Still time for golfers to enter! 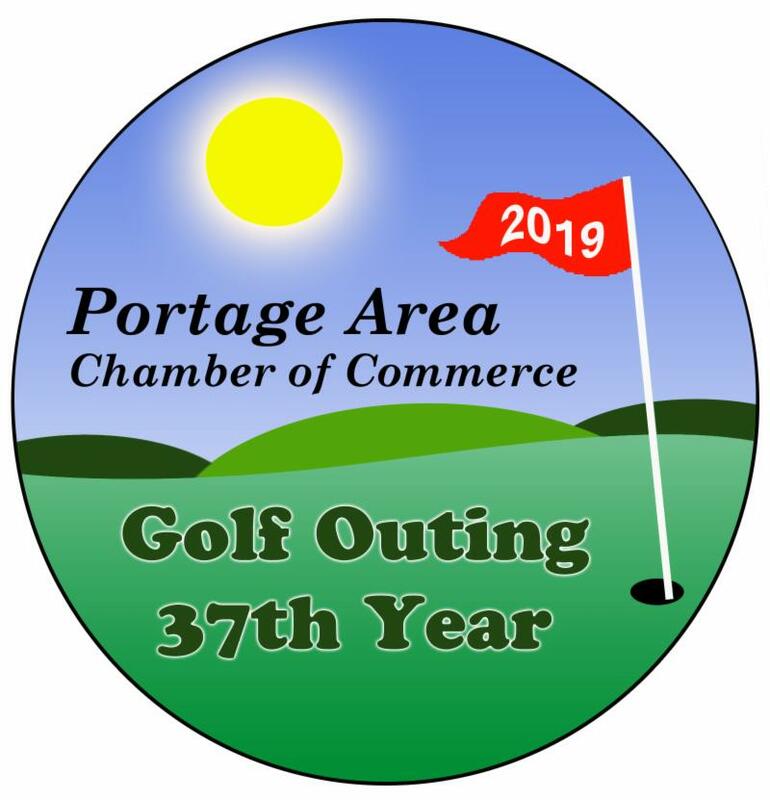 The Portage Area Chamber of Commerce Golf Outing is scheduled for Wednesday, June 12, and we are asking for your participation. This is the largest fundraiser for the Chamber, helping us fulfill our leadership role in providing a healthy economy and high quality of life for the Portage area. A great day on the course that will offer many games, prizes, food and drinks is followed by a buffet style dinner at The NorthShore Restaurant. Networking and post-game activities will begin at 5pm and the dinner, auction and program will follow at 5:30pm. Plan to join other Chamber members, clients and friends. Pre-registration is necessary for both golf and dinner. Tickets are $100 per player and include 18 holes of golf and dinner. All ticket sales are on sale now and are first come, first serve basis for Chamber members in good standing. For more information, please call the Chamber office at 608-742-6242. Do you have too much to do and not enough time to do it? Do you wish you could clone yourself but you can’t wait for technology to catch up? Come find out what a Virtual Assistant is and the benefits of hiring one with Wendy Schultz, owner of Koss Virtual Assistant. Wendy will be talking with us about virtual assistants and the services she can provide to your business so that you can focus on growing your customer base. Learn how to save money and time by having Wendy help your business with her professional services. Space is limited. Please kindly RSVP for the Business Luncheon events! 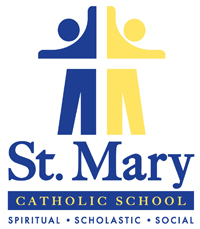 The following is information discussed at the March Chamber Luncheon by Steve Sobiek. For more information about these topics, please call Steve at 608-617-7121. City of Portage Business Planning & Development Steve Sobiek was the guest speaker at the March Chamber luncheon--one of the largest attended Chamber luncheons--to discuss projects on the horizon in the city. "There is so much going on in 2019, I really think its going to make your head spin," Sobiek began his remarks. "I am so excited." What has Sobiek the most excited is that the old Kmart building on the north side will finally have a new occupant. Big R, similar to a Farm & Fleet, is expected to arrive in May. And another vacant storefront on that side of town will have a new tenant soon as the old Staples building will be home to a new furniture store. Rounding out development on the north side, Sobiek said a new retail store with national name recognition is coming in April, Kwik Trip will be undergoing a large expansion, a new Med Flight facility will be located at Divine Savior Healthcare, and, according to Sobiek, "five or six" hotels are vying to be the anchor for the new business park behind Portage Ford. In the industrial park, Sobiek said a tire distribution center, K & M Tire, could begin construction of a 50,000-square foot warehouse next year. Encapsys and Wieser Concrete will both be adding 20,000-square foot expansion projects to accommodate new product lines while Dawn Foods will be doubling its size and employment. On the expansion track, Sobiek said the potential for another daily Amtrak train in each direction through Portage is looking more likely. The completion of the new 300-foot long platform at the Amtrak depot is expected in the coming months as well. A shortage of housing in Portage--underscored by a comment from a local realtor that there are just eight houses for sale that don't have accepted offers--was at the forefront of a lively Q & A session, as was the current condition and future of the long-vacant antiques building on Cook Street in downtown. "It's frustrating because it has taken so much time," Sobiek said of the process to find someone willing to take ownership of the 20,000-square foot building that has been neglected for over a decade and needs much work. "We have been meeting, and meeting, and meeting with the county, but we have an agreement that we are going to move forward." Sobiek said he brought an interested entrepreneur from Madison who sees the potential to save the building versus tearing it down. Five years of back taxes totaling $35,000 are owed on the property and environmental remediation is required. The entrepreneur envisions an artist center with apartments above, according to Sobiek. "We are working on it as fast as we can," he said. "I think you're going to see it take shape." A family-owned and operated, full-service staffing agency that also offers payroll services. Knight Barry issues title insurance and provides title related services to consumers, lenders, lawyers, developers, builders, and real estate professionals. We protect sensitive documents and information from real estate closings. We disburse closing funds safely, securely and soundly. We support all of our local communities. 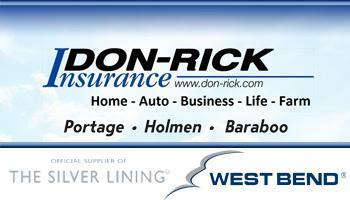 With over 50 offices throughout Wisconsin, Minnesota and Michigan, we have an office conveniently located near you. 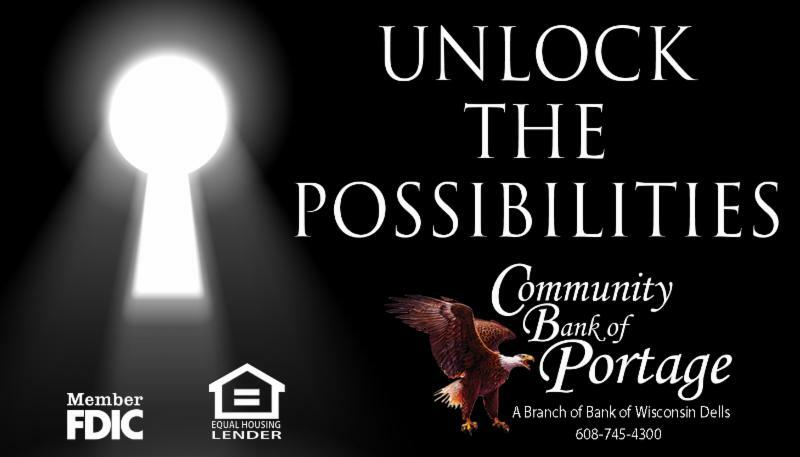 Our Portage office currently services Columbia and Adams County and can also assist with closing services in Sauk and Marquette County as well. We offer 2 closing officers to help accommodate the schedules of all parties involved in transactions. With one closer having several years of experience in the title and real estate industries and the other having a banking background we offer unique perspective and knowledge to provide unparalleled experience and service. For more information, call Stephanie Turner, Closing Coordinator, at 608-683-3040. Knight Barry is located at 2933 New Pinery Rd. in Portage. The 6th Annual Ladies Night event is coming up on Thursday, April 4 from 6:30pm to 8:30pm. This is a free event to attend, all you need to do is RSVP by email at info@portagelumber.com, by phone at 608-742-7186, or in store at 1009 E. Wisconsin Street. There will be free goody bags to the first 80 women in line, free appetizers and refreshments, free do it yourself project and demos/workshops, local vendors selling their products, vendors on-hand to answer your product questions and free grand prize giveaways worth hundreds of dollars! Plus, take 20% off most regular-priced merchandise purchased during event. Glenna Schumann , Broker Associate/Owner at RE/MAX Connections, Portage, has earned the RE/MAX 100% Club Award for the seventh year in 2018. Glenna has been working in the real estate industry for more than 9 years and has extensive experience in residential, recreational property and foreclosure market areas. Brenda Schumann , Broker Associate at RE/MAX Connections, Portage and Westfield, has earned the RE/MAX Executive Club Award for 2018. Brenda has been working in the real estate industry for more than 5 years at both the Portage and Westfield offices and has extensive residential as well as commercial, vacant land and recreational property experience. Schumann has won awards the last three years including the 100% Club and the Executive Club. Luke Showen , Sales Associate at RE/MAX Connections, Westfield, has earned the Executive Club Award for the third year in 2018. Luke has been working in the real estate industry for more than 3 years and has extensive experience in the residential, vacant land and recreational property area. The VFW / Portage High School History Contest is next Sunday, April 7 at the VFW at Noon. The public is invited and encouraged to attend the competition of six high school history students competing in a game show format. Each student represents a classroom. The winning student wins cash and a plaque, the winning classroom receives a pizza party provided by VFW Post 1707. Please come watch the students compete. Free admission. Sandwiches, snacks, coffee & milk available. Donations appreciated. Business owners who already have products they are selling but want to use Amazon to enhance their sales should attend this class on How to Sell Your Products on Amazon through the Wisconsin Small Business Development Center on Thursday, April 4 from 8:30am-Noon. This half-day workshop taught by an experienced Amazon Seller includes information on how to set up an Amazon account, how to create a product listing that sells and how to market your product on Amazon. Portage ACE Hardware is holding a Neighborhood Yard Party on Saturday, April 6 from 11am to 2pm. Enjoy sales on gardening, patio and yard decor products. There will be vendors on hand and food available. The Master Gardeners will teach kids about planting, flowers and veggies. For more information, call Portage ACE Hardware, 2727 New Pinery Road, at 608-745-1410. Click here to view the flyer with more event details. 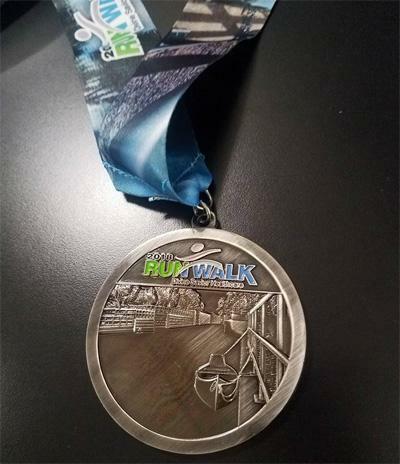 Divine Savior Healthcare needs your help designing this year’s Run/Walk commemorative medal! The collector medal series continues featuring local iconic images. Last year’s inaugural medal featured a photo of the Portage Canal. Simply share a photo in the “2019 Divine Savior Run/Walk” event with a brief description of what makes it a local iconic image. The winner will be voted on by the Run/Walk committee and announced on April 15. The winner will receive a $50 Portage Green Gift Certificate and a 2019 medal! What can you come up with? Spread the word and tag a friend who is quite the photographer! The Divine Savior Healthcare Run/Walk is happening on June 1. Stay tuned for registration info. 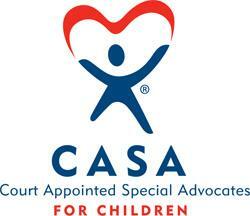 Please join Columbia County CASA & Wisconsin CASA for the 2nd Annual "I am for the Child Day" on Wednesday, April 17. Wisconsinites are encouraged to wear blue to call attention to the issue of child abuse and the need for Court Appointed Special Advocates (CASA). Executive Director of Columbia County CASA Darryl Teske will create a page that shows all the businesses and organizations that are participating as well as sharing pictures to raise awareness about child abuse in Wisconsin. 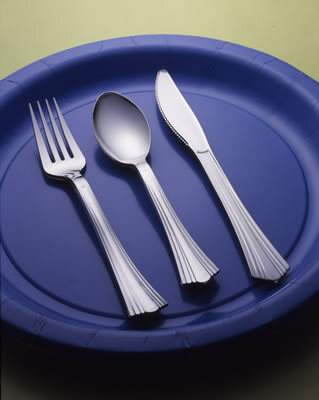 For more information, visit columbiacountycasa.org or call 608-745-9977. The Canal Days event is scheduled for Saturday, June 1. Register now for the parade by clicking here ! Do you know someone considering a career in electrical line work? Encourage them to apply for the Jon Steinhaus Line Worker Scholarship! Scholarship eligibility includes anyone who is a high school senior (or older) and enrolled in an Electrical Power Distribution (EPD) program at a certified EPD school in the United States. Although not a requirement, preference is given to members of Adams-Columbia Electric Cooperative. The deadline to apply is Friday, April 12. Scholarship information, the application, and more details can be found at https://www.acecwi.com/co-op-programs/scholarships/. ACEC’s Annual Meeting will be on Saturday, May 11 at the Adams-Friendship Fine Arts Center, 1109 E. North Street, Adams. The meeting will begin at 9:30am with registration starting at 8:45am. If you plan on attending the meeting, please email acec@acecwi.com or call 800-831-8629 to RSVP. With ACEC’s Annual Meeting right around the corner, there will be two candidate forums for ACEC members to learn more about who is running to be on the board of directors. The first forum will be Wednesday, April 3 at the World War II Center in Wautoma from 5pm to 6pm followed by one Thursday, April 4 at the Westfield Community Center from 5pm to 6pm. All ACEC members have the right to vote for who represents them on the board of directors. Learn more about director candidates here: https://www.acecwi.com/director-candidates/. Join the team from Blau Chiropractic for this spring series, Move Well, Eat Well, Think Well to get you ready for a healthy summer of fun. Healthy snacks will be provided at each class, along with some fitness equipment you'll learn how to use and get to take home. Classes will be held April 1, 8 & 15 from 5:30pm to 6:15pm at Blau Family Chiropractic and Integrated Wellness, 641 Latton Lane, Suite A. For more information, call 608-742-1300. A fee of $25 applies. In honor of Earth Day, enjoy songs that connect a good time with being good to each other and our planet at Portage Center for the Arts (PCA). Ken Lonnquist's music is filled with imagination, wordplay and energy. Hear his music in person at the PCA on Saturday, April 13 from 4pm to 5pm. 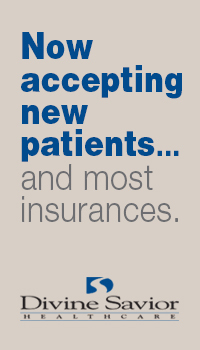 For more information, call the PCA, 301 E. Cook St., at 608-742-5655. 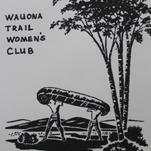 Carol LaVigne from Edgewater Home and Garden will share spring flowers at the Wauona Trail Women's Club monthly meeting on Monday, April 15 at 11:30am at Dino's Restaurant. Carol has been a part of Edgewater & the Portage community since 1977. She and her husband, Jim have operated the business for over 25 years, taking ownership in the summer of 2016. They have 3 children--two boys, 24 and 22, and a daughter, 21. The boys currently work at Edgewater with them. The club meets the 3rd Monday of the month at 11:30am at Dino's Restaurant, 2900 New Pinery Rd.(Sept-May). Portage Rotary recognized the recent service milestones for Rotary members on March 25. Congratulations to Trina McVicker for 20 years of service! Portage Rotary appreciates her dedicated service and hard work, commitment and contribution to Rotary's success. www.portagerotaryclub.com or on Facebook at www.facebook.com/RotaryClubofPortage . 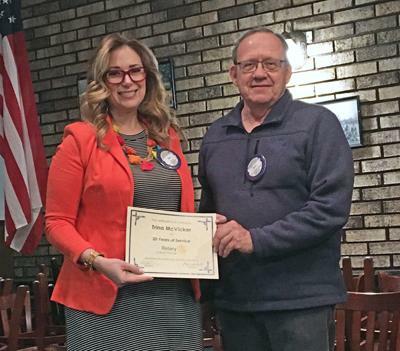 Pictured is Trina McVicker with Rotary President Rich Jacobson. 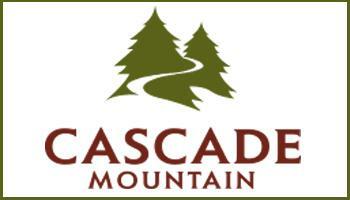 Check out these job postings on our Chamber site from our member businesses. You are welcome to post job openings your business may have at any time. Call the Chamber office at 608-742-6242 for more information. Learn to manage neck pain and headaches, avoiding medications and injections, at this workshop at New Life Physical Therapy on Wednesday, April 3 from 5:30pm to 6:30pm. You will learn the most common causes of neck pain and headaches, mistakes people make with these ailments, types of headaches and the top three things to get rid of neck pain. Space is limited, so register now to save your seat by calling 608-742-9356. 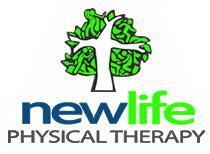 New Life Physical Therapy is located at 2639 New Pinery Road in Portage. Karen will speak on Thursday, April 11 at the Portage High auditorium from 6pm to 7pm. There will be appetizers beginning at 5:30. A service dog will be awarded to a local wounded veteran as a thank you for his or her service and a $500 scholarship will also be given to a local high school student. Seating is limited. Register with Jon Dyreson, Loan Officer at Fairway Mortgage, at 608-742-0097. 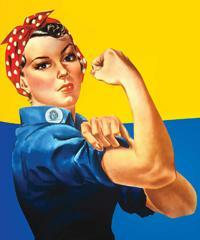 Women's Civic League - Meets 2nd Wednesdays of the month at Dino’s Restaurant, 2900 New Pinery Rd.